St John’s has had a fine choir since its founding in 1904, and choral music continues to play a central role in worship here today. 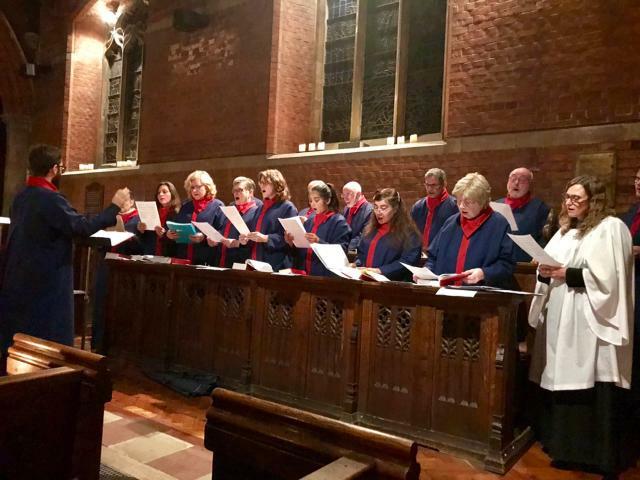 Our RSCM-affiliated choir sings a wide range of music from the Middle Ages to the present day at our Sunday Eucharist services, and at Choral Evensong on the first Sunday of the month at 6pm. Despite striving for choral excellent, our choir remains non-auditioning, with our Director of Music Robert Hainault offering group training sessions to beginners and non-music readers in advance of the full rehearsal, so that everyone who wants to be a part of the choir has the opportunity to learn technique, develop their voice, and make music to the glory of God in a friendly and stimulating environment. We are always on the lookout for new choristers, so if you are interested in joining or just want to find out more, Robert will be delighted to hear from you and can be contacted at roberthainault@gmail.com.